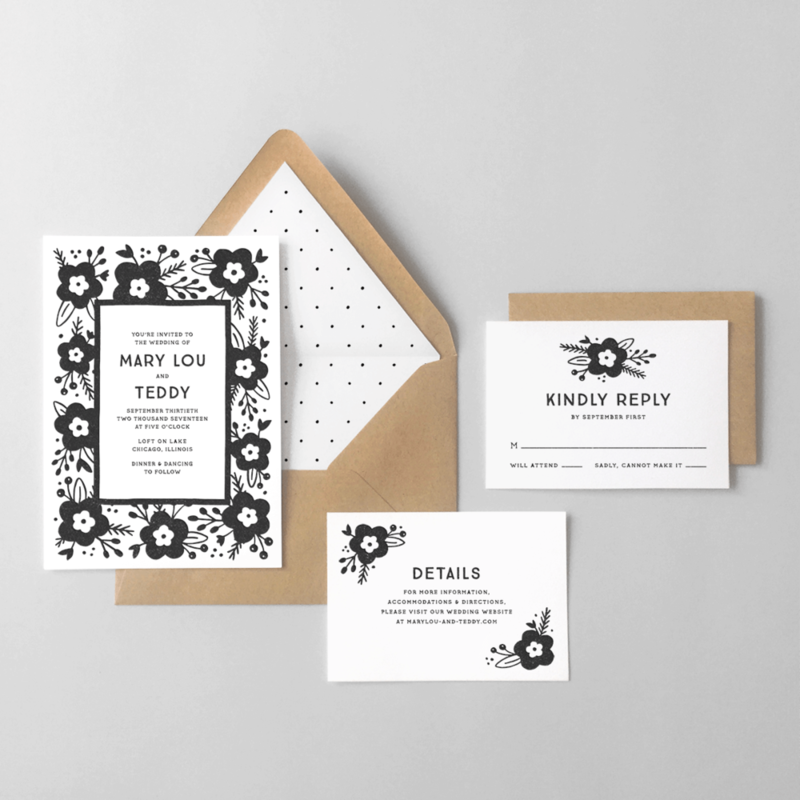 Hello Paper Co. — Sweet Florals Invite by Hello Paper Co.
Sweet Florals Invite by Hello Paper Co.
Letterpress printed invitation suite featuring floral illustration. 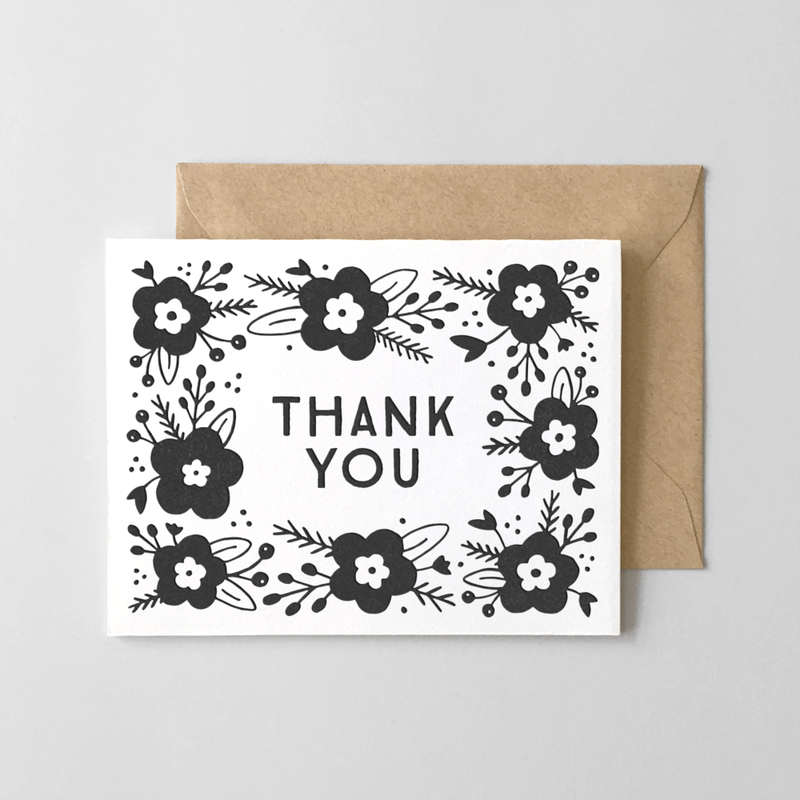 Designed and printed by Hello Paper Co. Invitation suite letterpress printed on extra-thick, 100% cotton paper. 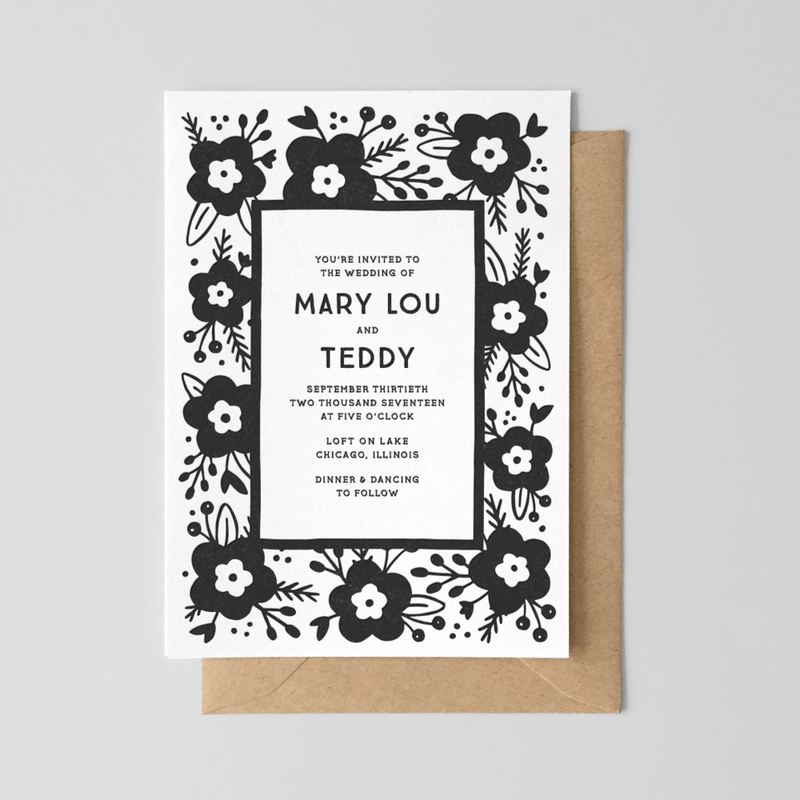 The design features illustrated florals and black lettering. We'll customize the suite to exactly what you need — don't want the envelope liner? No problem. Need entrée options on the reply card? We're happy to add them!